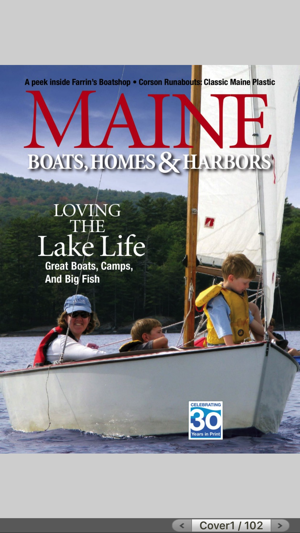 Since 1987, Maine Boats, Homes & Harbors has been THE best magazine covering life on the coast of Maine. Now you can enjoy the digital version on your device wherever and whenever you choose! 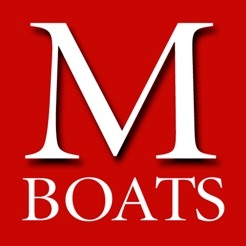 This free app will allow you to preview a FREE sample issue of MBH&H. If you like what you see, subscribe to a paid digital version of the magazine (see details below). With a paid annual subscription, each new edition of MBH&H will be delivered straight to your device upon publication. That’s six issues per year + 1 FREE issue for just $24.99, each featuring the same content as the print version. 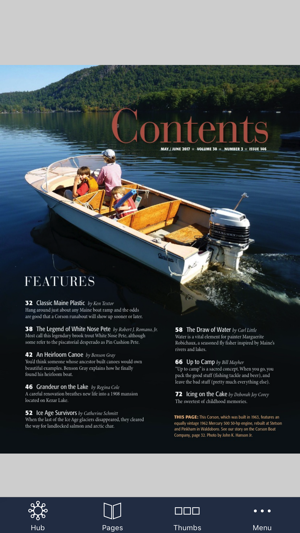 You can read the magazine on your device while connected to the Internet or download entire issues straight to your device and take them with you anywhere you cruise. I just read your most recent digital issue on my iPad and it is fantastic! I never thought I'd be a fan of digital magazines but you have have made one out of me. As always the issue was a great read, even for someone that lives south of the 18th Parallel - had read that you were working on this and I say Great Job! I'm glad you have started offering the magazine in digital format. One area that needs work is making the pages load faster. The app seems slow compared to other magazines. Overall I'm very happy. Hopefully you offer this content free for print subscribers. 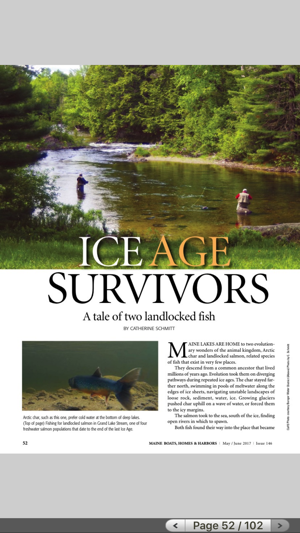 Great job working an APP for a wonderful magazine! Effectively captures the side of Maine that I have loved for 49 years. 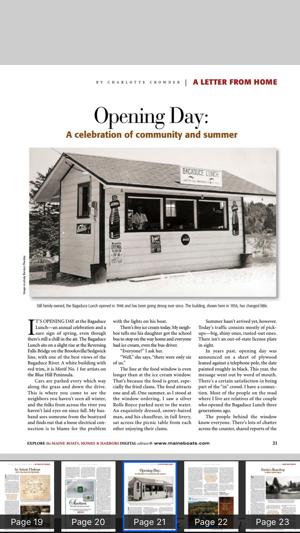 I imagine that I will still buy a hard copy from time to time to throw on the coffee table at the "Camp".